Erma Lee Nash was born October 9, 1897, to Clay and Nannie Nash. Ms. Nash received her public school education in the Lillian and Mansfield school systems before attending college in Denton in 1917. 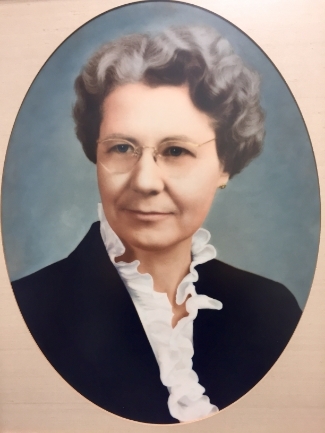 She began her teaching career in March 1920, finishing out a teaching assignment in Everman. After that, Ms. Nash taught in Lillian, her home community, for four years. In 1924, Ms. Nash began a teaching career in the Mansfield Independent School District that spanned 39 years and several generations of pupils. During her final year of teaching in 1963, Ms. Nash taught her first third generation pupil. "Miss Erma, as she was respectfully addressed by all of her students, had an immaculate appearance, perfect penmanship and firm discipline," said a former student, Barbara Ervin. Ms. Nash taught various elementary classes but devoted most of her career to teaching fifth grade students. She served as School Principal during a period of time when all students attended school in one building. Erma Nash Elementary opened in September of 1953. Erma Nash had 440 students in grades 1st - 8th and about 15 staff members. Mr. Otis Crawford was the first principal of Erma Nash. On January 31, 1954, the Mansfield School Board officially named the new Erma Nash Elementary School in honor of Miss Erma Nash. While the original Erma Nash was located at 905 E. Broad Street, the new Erma Nash building, located at 1050 Magnolia Street, opened in August of 2003 to continue educating Mansfield's finest.